Get a grip on why businesses never grow up and how yours can! This book present the complex technical analysis of BUYING and SELLING or INVESTING in the Stock Market into the language that will makes sense to you. You would know how to Spot Buy/Sell Opportunities with ease. As Investors, You would know how to make killer investment in companies shares. 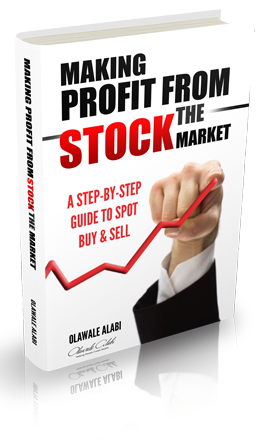 You would discover The Power of Making Money from the Stock Market with Simple Step-by-Step guide. Copyright © 2014. Ola Alabi | All rights reserved.